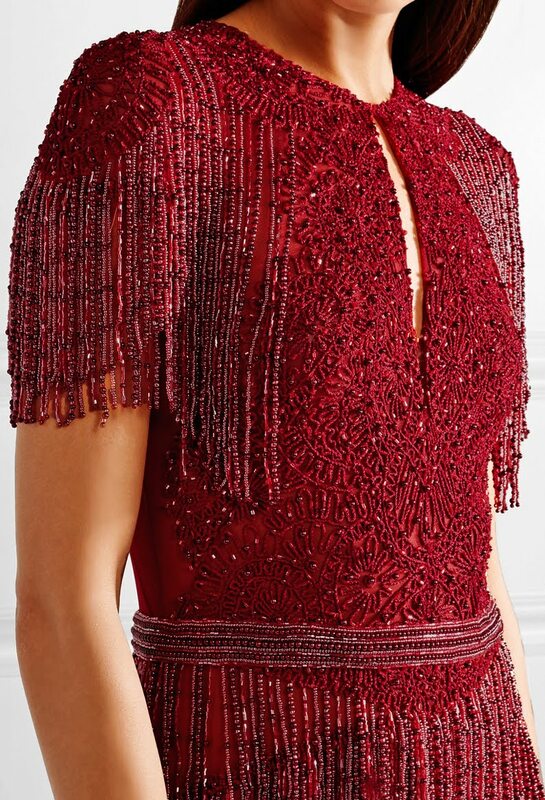 Zuhair Murad's designs are so decadent and breathtaking, it's no surprise that celebrities like Jennifer Lopez often turn to the brand for red carpet events. 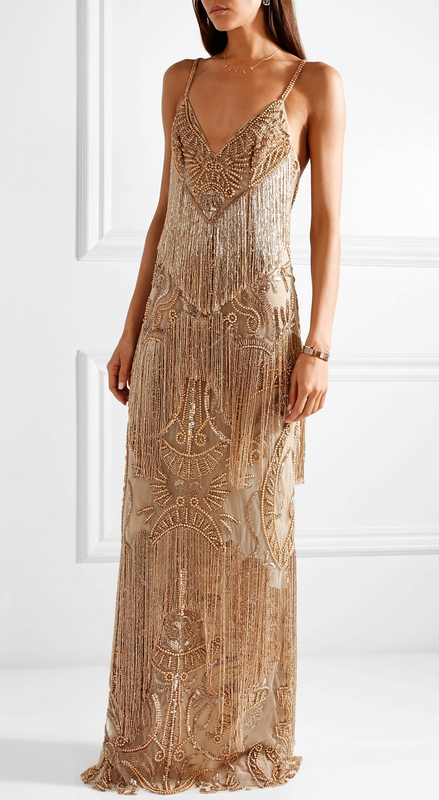 This flapper-inspired gown is made from silk-blend tulle drenched in beaded fringes and has thin shoulder straps that drop to a crisscross back and deep slit. Keep the rest of your outfit simple with delicate jewellery. 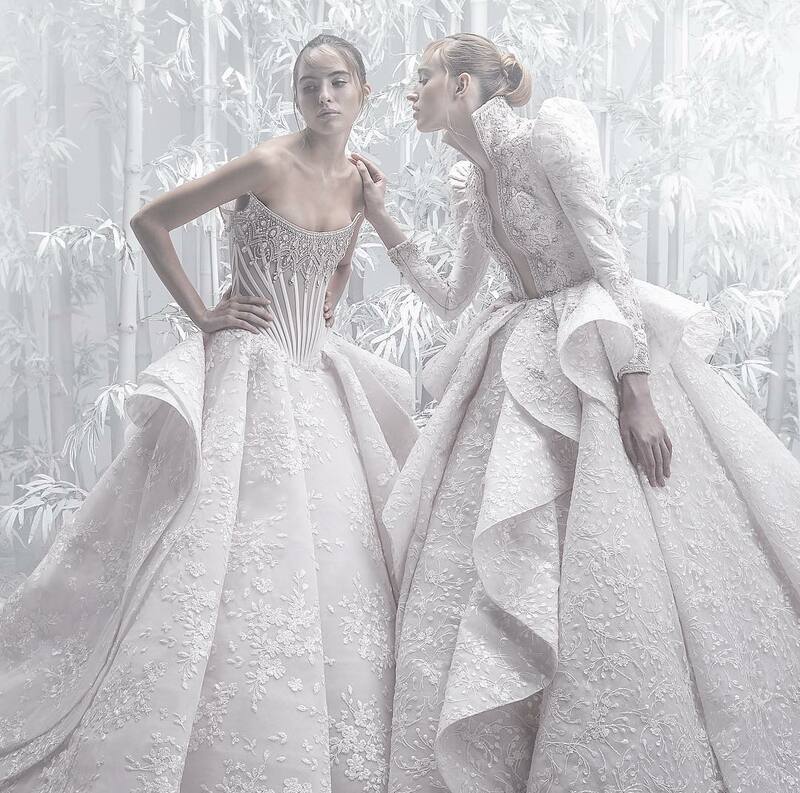 Lebanese designer Zuhair Murad started sketching dresses at just 10 years old and has since honed his painstaking eye for details and flattering silhouettes. 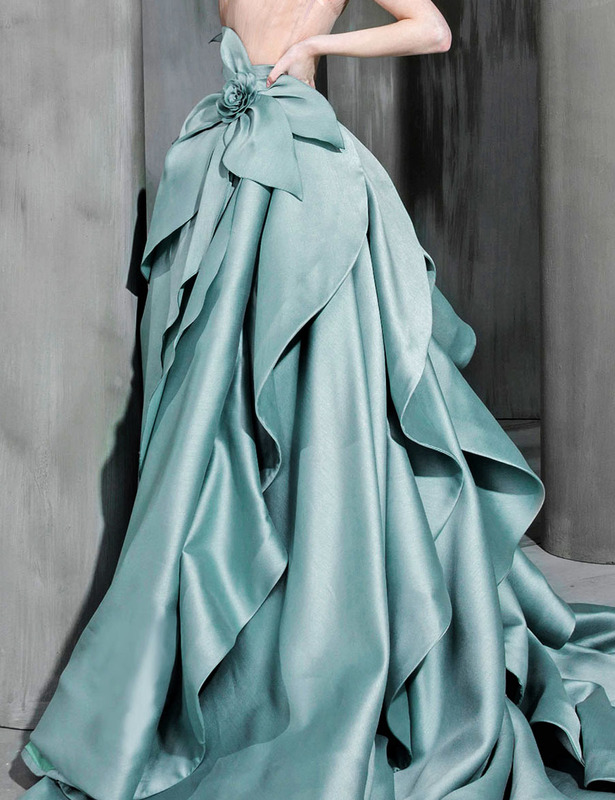 A style that can only be truly appreciated from up close, this gown has a tulle bodice that's embellished with intricate embroidery and beading and fitted with a slim-fitting silk-blend chiffon skirt with a dramatic thigh-high front split. The fringing along the sleeves and waist move beautifully with every step.